This week marks the beginning of the 2018/2019 school year. 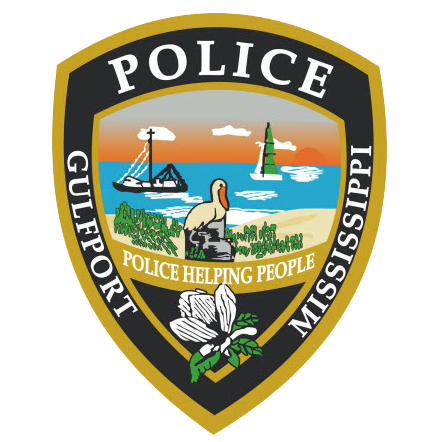 The Gulfport Police Department wants to ensure the safety of the pedestrians walking in or near school zones. 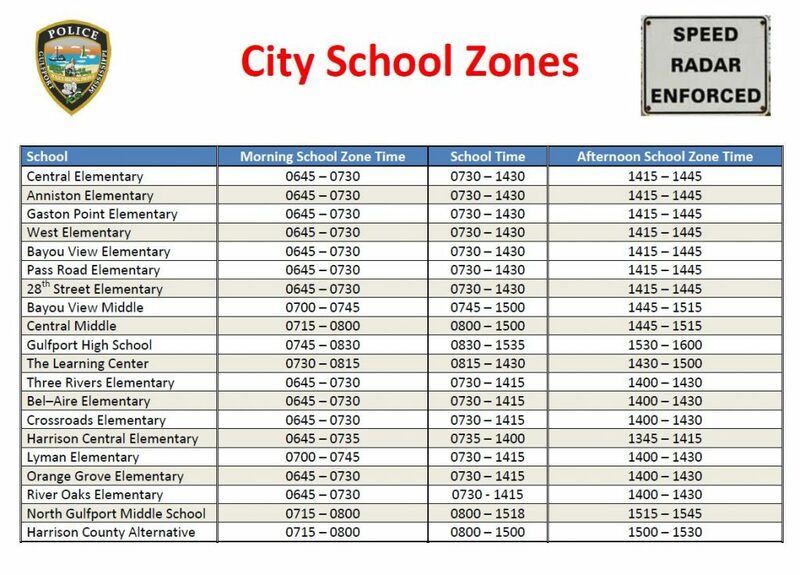 Attached is a copy of the schools and the school zone times. Be mindful that when the school zone traffic lights are active, the speed limit is 15 mph in that area. We are asking motorists to pay attention and adhere to the speed limits during school zone times as well as non-school zone times. Motorists should also remember that passing a stopped school bus is prohibited. In December of 2009, a bill known as “Nathan’s Law” was submitted and passed by the state legislature as a result of the death of Nathan Key. As stated in the amended Mississippi Code of 1972, the driver of a vehicle upon a street or highway upon meeting or overtaking any school bus which has stopped on the street or highway for the purpose of receiving or discharging any school children shall come to a complete stop and shall not proceed until the children have crossed the street or highway and the school bus has proceeded in the direction it was going. Motorists should be mindful of this statute and that children sometimes cross in front of the stopped school bus upon exiting it. Therefore, motorists should be more cautious when they see a stopped school bus or a bus slowing to stop. Potential incidents occurring from this violation can be prevented. Please be patient. We want every child to have a safe and productive 2018/19 school year.